Password security is an essential aspect of internet privacy and security, and one that is, unfortunately, often overlooked. We have numerous accounts for different things online and usually, the one thing that stands between us and rampaging hackers is our passwords. However, due to some of the most common password mistakes, most of us have compromised password security and accounts that are just sitting there waiting for a hacker’s attacks. Of course, for those who want to understand how to strengthen and securely use their passwords, we must first examine the mistakes made before we can look into the possible solutions. 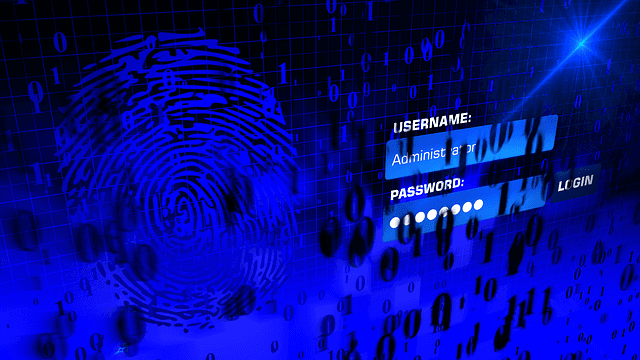 It is virtually impossible to remember all your existing passwords across different accounts. Therefore, the solution for most people is to use a single password across multiple accounts. While you may think of this as a smart move, it is one of the biggest password security flaws you could ever have. Reusing your password essentially opens up all your accounts to hackers if they ever crack your password. Password tweaking is where you use the same password with minor variations. For instance, you could add numerals or special characters to the same password and use it across multiple sites. Like using the same password, this too is a dangerous mistake. Once the core password is broken, it only takes a little effort on the hacker’s part to figure out your variations and use that against you. What signifies a weak password? For starters, a short password is a weak password since a brute force attack can easily crack through the various combinations and identify your password with ease. Additionally, using a single character type is also an indicator or weak passwords. For instance, using all alphabets or all numerals significantly limits the strength of your password. Then there’s creating passwords based on your interests. Sure, it would be easy to remember the name of your favorite band or celebrity personality. However, should the hacker understand your interests, then your use of your interests could be turned against you to create a significant security risk. Instead of creating what you know are obviously weak passwords, you should leave the decision to a password generator. As one the best tools to generate strong passwords, a password generator algorithms eliminate your direct involvement in the password creation process, therefore, voiding most of the common mistakes you would make if you did it yourself. Of course, the ideal password generator should provide you with a high customization ability, allowing you to select the criteria for the password you need. Additionally, it should have the option of creating multiple passwords based on a single criterion, allowing you to mass produce strong passwords for multiple accounts instantly. However, its most basic and most important feature should be the creation of random and unique passwords. That means the passwords should have no correlation with you whatsoever and should have never been generated nor used before. The most fundamental problem when it comes to passwords is how to remember them, which is also one of the main reasons there are so many avoidable password mistakes. Thankfully, this problem can be easily solved if you use the best password managers available in the market. Password managers record and store your passwords and allow for the automatic usage of said passwords without your input. Basically, with a password manager, you don’t have to remember the password or even bother with it during the login process. More importantly, all your passwords are encrypted, which protects them from unwanted eyes and guarantees your privacy and security. It is truly unfortunate but should your password be compromised and your account hacked, it would be extremely difficult to notice unless something major happened, such as all your money being withdrawn. However, the 2FA feature solves this problem and provides you with extra security for your accounts. Although not all accounts provide this feature, it relies on a second authentication method for you to log in rather than relying solely on your primary password. With this, each time your primary password is used, you are prompted to enter a secondary password that’s usually sent right after that and is only available for limited one-time usage.